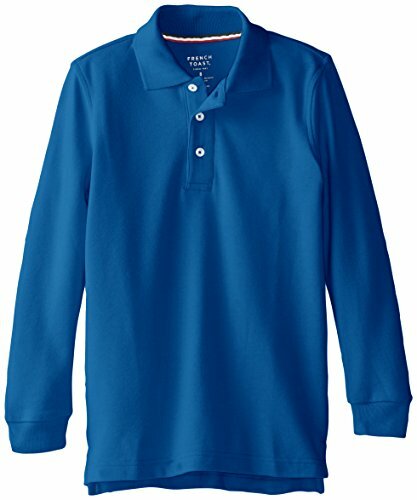 Classic 3-button long sleeve baby pique knit polo with flat knit collar and ribbed cuff. Stripe grosgrain neck taping on inside of collar and side vent with a tail bottom. Tag free label. If you have any questions about this product by French Toast, contact us by completing and submitting the form below. If you are looking for a specif part number, please include it with your message.